Please link back to us so others can join in the fun! Hi Everybody! It's time for the Vintage Alphabet get-together. This month's letter is 'B'. Now, I have my Vintage Alphabet post up already. As you'll see my theme is 'B'owls, but you can show off your vintage 'B'arbie's, 'B'uttons, 'B'read boxes, 'B'rown transferware, 'B'rooches, 'B'lenko Glass, 'B'akelite, 'B'etty Boop.......these are just a few examples of whatever your vintage collection includes that begins with a 'B'. Mr. Linky is available below so you can join in. Also, watch for our new banner Debbi created for our get-together. Remember you have plenty of time .....we'll leave this up for the week, so everyone has time to join the fun!! PLEASE DO NOT LINK TO A SELLING SITE your links will be removed. This is a sharing party! Since February's birthstone is the amethyst, we are going use that as a theme for one of our blog party's this month! 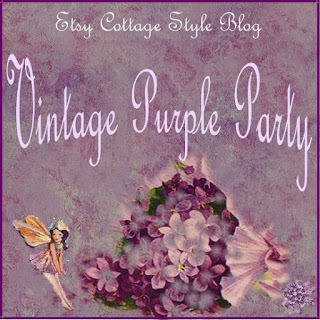 It's time to share your vintage item(s) that are purple, lavender, lilac, periwinkle, etc. 3. 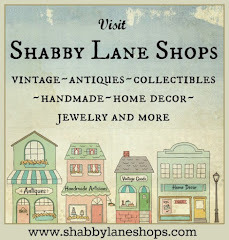 Make sure to add your blog link to mr.linky below. the party is over and it was fun! Check out our next party coming February 23rd!